This looks yummy.. :p nice dish. will try it soon. I guess I am here for the first time. But sure to be back again. Nice collection of recipes. Keep it going. It's new new to me. 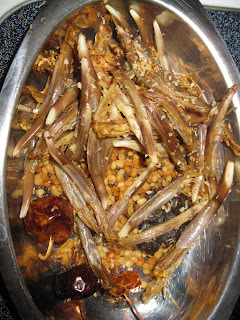 Interesting recipe and nice blog :) Thanks for stopping by my blog. Healthy thogayal... looks yummy. You have a nice space with so many collections. 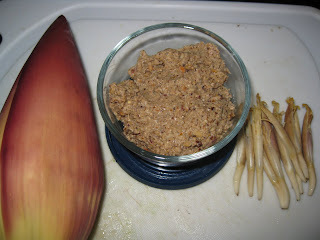 Nice recipe, I bought banana flower once and was so confused how to make it. Never tried from than on...Thanks for sharing it. Wowww quite a different thogayal! Valaipoo thogayal sounds amirtham to me:) Wonderful recipe dear. I always fall in love with this kind of authentic cuisines:) You have a very nice blog. Keep rocking. If you have more than one recipe, You can repost them. Expecting a lot of yummy recipes from u.
i love this but am too lazy to do the prep work!